The college admissions process has changed dramatically over the last few decades, and is continuing to shift as time goes on. 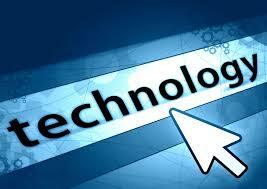 However, what will not change is how technology has totally transformed the admissions process. From when students submit their applications online to when they receive their notification letters via email, the process is almost completely online. Even college visits and interviews are moving to the web as sites such as YouVisit offer virtual tours of campuses, and video-chat interviews become increasingly common. And social media goes hand-in-hand with this. Not only are colleges likely to check your online profiles when applying, but once admitted, you will be invited to join online communities where students can connect with peers as they begin their college journey. To read more about how technology is altering the admissions process, check out this article. Want to Know What Really Goes on in a College Admissions Office? Admissions officers usually spend around 7 minutes per application, so keep the information clear and simple, and don't leave any room for confusion. If there is a change of schools or a dip in grades, use the additional information section to clarify the situation. Applications are evaluated in light of the major you select on your application, so it helps for activities and classes to reflect that major. Take a few lines to explain an activity and highlight the important moments, so that any milestones stand out. Most importantly, all admissions officers make mistakes. Admitted students turn out to not be a good fit for a college, and rejected students move on to accomplish phenomenal things, so don't put too much stock in what happens after you turn in your application. Chances are you will end up at the right place, and it will be up to you to take advantage of all the resources available to you to create the experience that will most benefit you. 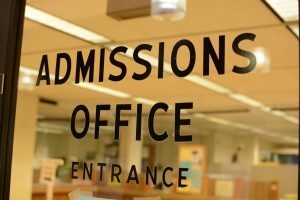 Posted in News | Comments Off on Want to Know What Really Goes on in a College Admissions Office? "Turning the Tide does a tremendous job articulating many of the things we have looked at for a long time at Yale. In response to the report, Yale has agreed to add a question on next year's application asking students to reflect on their contribution to family, community, and/or the public good. We will also advocate for more flexibility in the extracurricular forms on both the Common Application and Coalition Application so that schools can more easily control how they ask students to list and reflect on their extracurricular involvement." Expect to see more schools following suit. 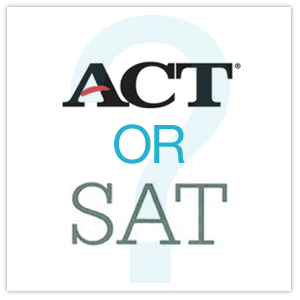 Even with recent changes to the ACT essay and the newly overhauled SAT, many colleges are admitting that standardized test scores are not as effective as other measures such as the application essay when admitting students. According to this article published in BloombergBusiness, 850 colleges across the United States now give students the option to apply without standardized test scores, and 145 colleges have a test-optional policy when applying. Some schools are finding creative ways to replace the missing information. Franklin & Marshall College asks for a teacher-graded paper which gives a more accurate assessment of a student's writing than the SAT or ACT essay, and Wake Forest added compulsory applicant interviews. It is, however, unlikely that standardized tests will ever go away completely, and most students will still wind up taking either the ACT or SAT at some point during the application process.